Welcome to Fantasy Football Tips Gameweek 24. Back to FPL action we go, after events over the past week have meant this article has been rewritten about three times, as my research has also used an unhealthy amount of highlighter pen! 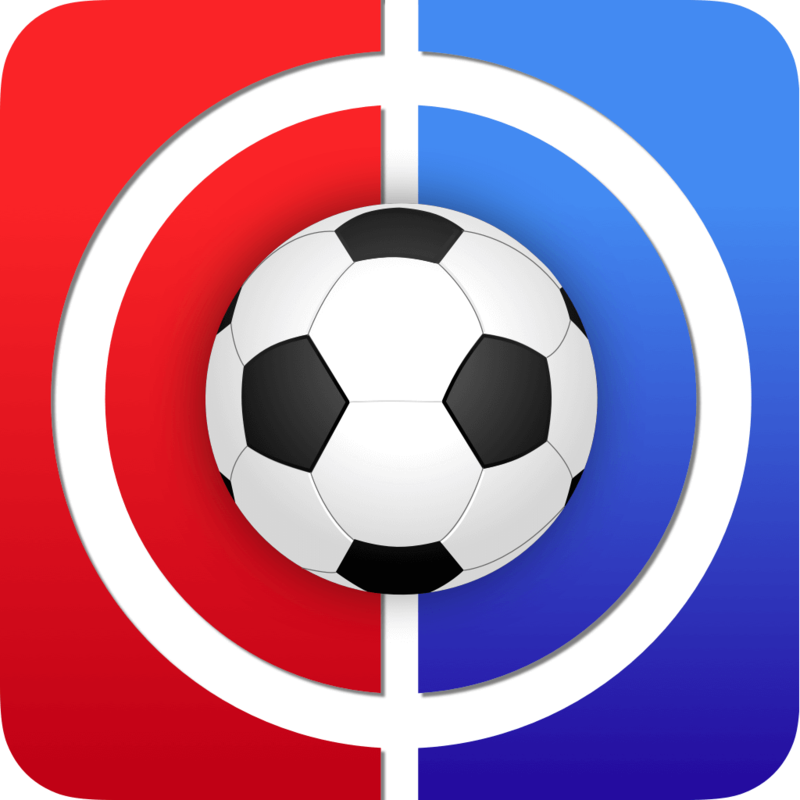 Before the first matches of Gameweek 24 even kick off, there has been the small matter of the League Cup, FA Cup and South Korea’s progress in the Asian Cup. I’m sure you know who I mean when I talk about the latter! 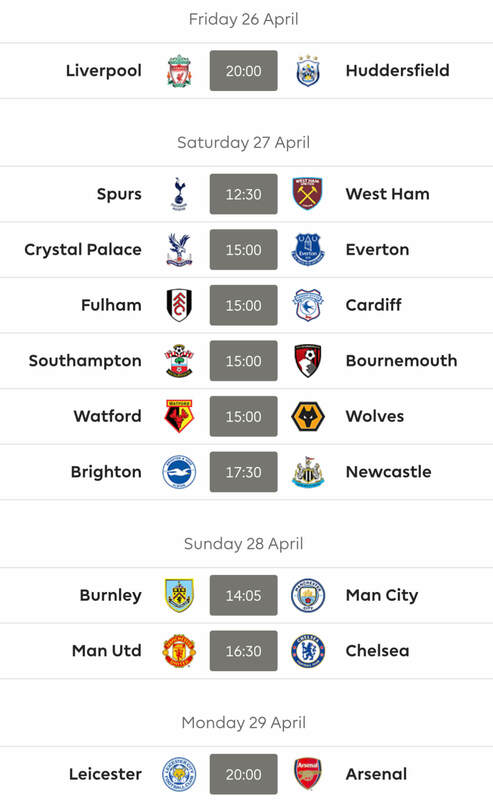 There’s also the big news coming out on Sunday that, for Everton and Man City, there will be a double gameweek (DGW) in Gameweek 25 and a blank (BGW) in Gameweek 27. Going into DGW and BGW territory, you start to see changes in ranks between those who are unaware of these and us seasoned players who make up Excel spreadsheets and obsess over them for weeks. I’m sure there’s a healthy balance in there somewhere. 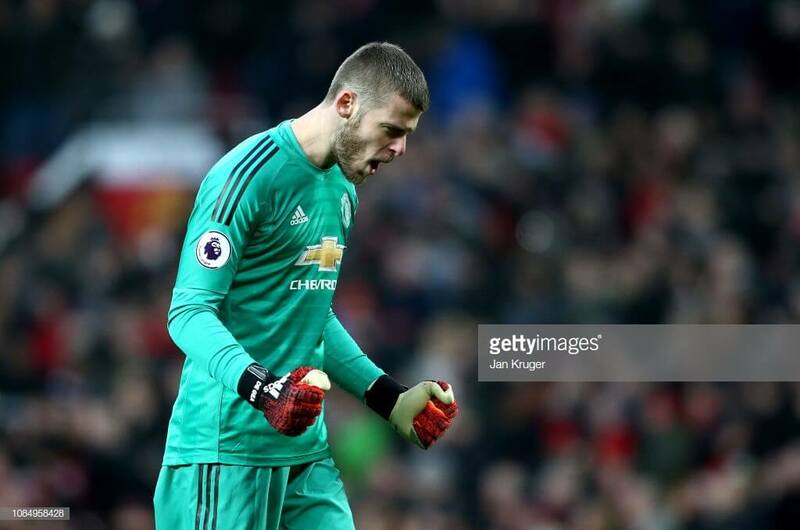 As a follow on from GP’s fantastic tips article of last week, David de Gea also gets the nod for Gameweek 24 as Man United welcome Burnley to Old Trafford. This has come on the back of the 3-1 victory in the FA Cup fourth round against Arsenal only four days before, however Sergio Romero was between the sticks then and so the number one shot stopper has had a good rest. Whilst the Spaniard didn’t keep a clean sheet at home to Brighton, you only have to look to the previous game at Spurs when he built a wall in goal that even Donald Trump would be envious of. Taking a look at the statistics, as you know I like to, this goalkeeper recorded 21 points in the last three gameweeks – with the highlight being the heroics at Wembley – which is more than the total from the seven matches beforehand and almost a quarter of his entire season total. So, with Sean Dyche’s men coming to town, who have the second-fewest shots out of any Premier League side, have just been thrashed 5-0 by Man City and are 15th when it comes to goals scored, you really have to fancy De Gea’s chances on picking up his fifth clean sheet of the season. Not a repeat of the 2-2 draw the last time the two sides met at Old Trafford in December 2017, anyway, as the two squads have very different fortunes compared to then. After Burnley, the Red Devils then face Leicester and Fulham away before a tough fixture against Liverpool in Gameweek 27. Bernd Leno always reminds me of the Röyksopp song Poor Leno whenever I read his name. Before he came to Arsenal, he was quite like the Norwegian electronic duo in that a lot of people had heard of him but couldn’t tell you much else. Aside from being the shot stopper for the German national team, anyway. Maybe that’s just me. Anyway, like Man United, Arsenal haven’t exactly been secure at the back with the clean sheet recorded against a very lacklustre Chelsea – to put it mildly – being their first in the league since the victory over Huddersfield back on 8 December. Since then, their league campaign has seen 12 conceded in just seven fixtures. So, why am I suggesting him? Well, to start with, he is up against Cardiff on Tuesday night, whose current form when it comes to goals is pretty shocking, having scored just twice in the last seven cup and league fixtures. Indeed, they are 18th when it comes to shots, with only Burnley and Brighton faring worse. Whilst the Bluebirds have only played at Arsenal three times in the last 13 years, only one goal has been scored by the away team in that period and so the chances of Neil Warnock celebrating a victory with a cup of tea out of his ‘Forza Brexit’ mug look rather slim. Reality may strike hard for Arsenal with a Man City away trip on the cards afterwards, however managers who rotate their goalkeepers can then bring him back in for Huddersfield, Southampton and Bournemouth shortly after. Now seemingly the first choice goalkeeper for Southampton, Alex McCarthy is another guy behind the sticks who doesn’t have a great record over the season but is starting to turn a corner. Unlucky to concede Gylfi Sigurðsson’s late effort into the bottom left corner, thanks to his defence momentarily dozing off and forgetting to just clear it, the 29-year-old will be hoping to rekindle his performance against Burnley at the start of the season where his six saves and clean sheet earned him 11 points. Having gone only three matches without needing to pick the ball out from the back of the net since then, now is the ideal time for the £4.4m player to increase that tally as Crystal Palace, followed by Burnley and Cardiff are on the Saints’ fixture list. 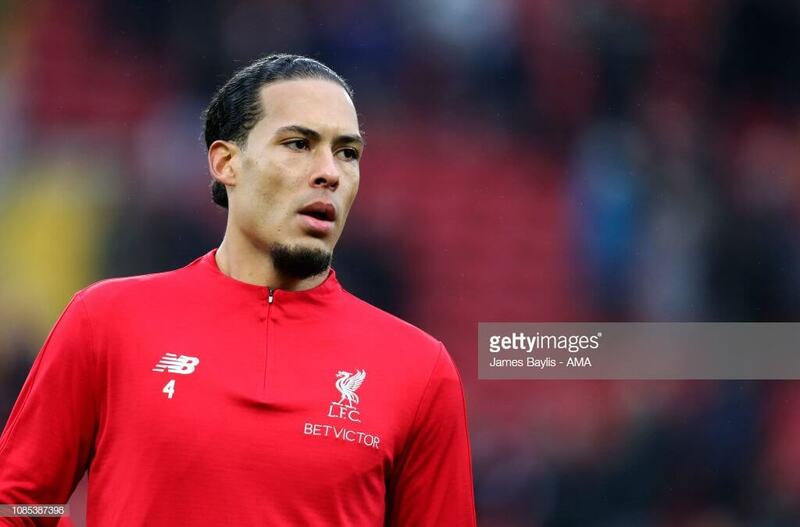 Virgil Van Dijk came at a hefty price for Liverpool, but has transformed the fortunes of the defence in partnership with Andy Robertson and others. Along with his statistics, compared to other defenders, that boast the seventh most touches and shots on goal, along with the fourth highest number of completed passes, the reason I have picked him is on the back of the fact he is fit at time of writing, is seemingly a guaranteed starter and comes in £0.2m cheaper than Andy Robertson who is rightly the most expensive back you can purchase. Owned by 28.6 per cent of fantasy managers, the player has a goal and assist to his name. He also has 12 league clean sheets, with Gameweek 6 the only one he has missed out on, thanks to playing 54 minutes – much to the frustration of those who had him in their team at the time, no doubt. Leicester make the unenviable trip to Anfield this gameweek, an away fixture the Foxes have lost in the past three attempts. Even though the number four managed to come down with the lurgy since his last fixture (and is currently yellow flagged as a result), Jurgen Klopp is confident he will return in time for the Foxes, which is lucky considering the current injury crisis in that department, as Trent Alexander-Arnold isn’t recovering as quickly as it was first hoped. Once Claude Puel and co have left, West Ham and Bournemouth make up the next duo of fixtures. Sead Kolasinac was one of the catalysts when it came to Cookie’s rollercoaster of a ride – FPL wise – over Christmas and New Year, as he accrued a clean sheet and six points in the 2-0 victory over Chelsea at the Emirates. The Bosnian left back has played all but one fixture since Gameweek 11 and, over those 12 fixtures, has registered 46 points – coming out at a respectable 3.83 points per match. Costing just £4.9m, he has now managed four assists in the league so far this season, which is second place to the now injured Hector Bellerin and only one behind Pierre-Emerick Aubameyang. As previously mentioned, there is an away trip to Man City you probably wouldn’t want to play him for, however that is surrounded by Cardiff this week, along with Southampton and Bournemouth at home and an away day to Huddersfield, now managed by Jan Siewert – I mean Martin from Wakefield. Hopefully the injury to Sokratis in the Man United game will not have too much of a detrimental effect on the Gunners’ defence. Lucas Digne joined Ricardo Periera and Conor Coady in registering a -1 score last gameweek and, having had a player do that to me in the past on more than one occasion, do accept my sympathies. If someone out there had all three playing, well, what do you say to that?! I just hope you had played Ben Foster and Diogo Jota, whilst triple captaining Fabian Schär, or something. Anyway, back to the French left back, who moved from Barcelona back in the summer. Whilst Gameweek 23 was the second time he’s come away with a -1 this campaign, you only have to look at the matches against Bournemouth, Burnley and Watford, where he registered a fantastic 12, 17 and 10 points respectively. Whilst those matches have been the highlights of the 20 he has started, he has already got three assists and three goals, the latter of which is only one behind the leader, Shane Duffy. Now knocked out of the FA Cup after the 3-2 loss away at Millwall on Saturday, the opposition back in the league will be Huddersfield Town who have scored the fewest goals of any team in the Premier League, having just 13 to their name from 23 fixtures, a good six away from Newcastle and Cardiff City’s total. They lie in 16th when it comes to the amount of shots, too. It seems to be these positive attributes that have made him the second-most transferred-in defender of the gameweek so far, with 47,500 FPL managers making room for him in their team. Indeed, that figure will probably rise even more quickly now it has been confirmed the Toffees will be playing twice in Gameweek 25 as Wolves and then Man City come to Goodison Park. Don’t forget that does then mean he’ll have a BGW in Gameweek 27. The 22-year-old Pole had a great game against Everton with his nearly nine points, from a clean sheet and three bonus, cruelly reduced to two as Gylfi Sigurðsson scored that goal against them. That followed his crucial goal line clearance in the 2-1 win away at Leicester and a clean sheet in the 0-0 draw at Chelsea. As you will have read under my appraisal of Alex McCarthy, Southampton have matches against Crystal Palace, Burnley and Cardiff on the horizon before things start to get rather tricky and so now would be a good time to bring him in if you’re looking for a cheap defender who could bring in some decent returns. Unsurprisingly, you could say, Mo Salah is the first choice when it comes to this article and if you don’t have him, I hope your squad are managing to make up the deficit of an incredible 87 points over the last eight gameweeks, resulting in an average of 10.88 per game over that period. 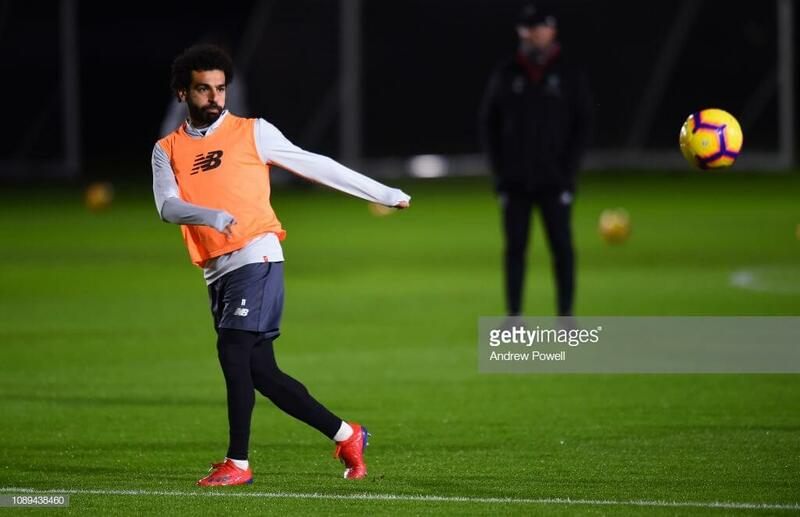 Little surprise he is the leader when it comes to goals, with 16, third-placed on shots and fifth on assists – the Egyptian is well and truly back to the form he enjoyed last season that made him an essential pick. This coming fixture is Leicester at home, a team the Liverpool number 11 has played against three times, scoring a trio of goals in that time. Suffice to say that, like the last gameweek, there’ll be a good number of people choosing him as captain and will continue to do so as he then faces West Ham and Bournemouth who have shipped in nine of his goals and an assist between them. Now owned by 50.3 per cent of all FPL managers and costing a whopping £13.6m, the Egyptian is the most owned asset with Paul Pogba in second place, who now appears in 40.2 per cent of teams. Talking of Paul Pogba, he’s my second selection, having been empowered under the Ole Gunnar Solskjær spell of management and picked up a very impressive 52 points over those six gameweeks. He’s even been kind enough to have a selfie with two unsuspecting parents who didn’t even know who he was, after they took an exception to him playing Uno loudly with Nemanja Matić. It’s no wonder he’s the most transferred-in midfielder! Registering five goals and five assists over that time and a rise from £7.8m to his current £8.7m price tag, owners can almost forgive him for that cheeky run up to take a penalty too. Whilst he has played this week’s opposition Burnley five times already, none of those games have returned anything other than a couple of yellow cards, however I’m sure this fixture will follow on from the most recent games where he has got the answer he wanted to the question: “Where is the love?”, like Ricky Jerret from Ballers. Indeed, Man United have a good record against the lads from Turf Moor, having scored seven in the last four meetings and not lost at home against them since September 1962. After that, the Uno champion has an opportunity to add to the two he has put past Leicester previously and get on the scoresheet when the Red Devils travel to Fulham in Gameweek 26. Currently only owned by 17.4 per cent of managers, Leroy Sané is becoming flavour of the month again, having scored 30 points in the last three fixtures. That followed three blanks which were also on the back of a prolific Gameweek 11 to 17, so it’s very possible the 140,000 people – at the time of writing – who have transferred him in ahead of his trip to St James’ Park have been correct too. Especially when you consider that DGW after the Newcastle game. One thing I will say, though – and it’s already been brought up on the boards – is that Benjamin Mendy could be returning soon, meaning there is a risk the German could lose his spot in the team, though the Frenchman’s recovery did receive a setback at the Pirelli Stadium. 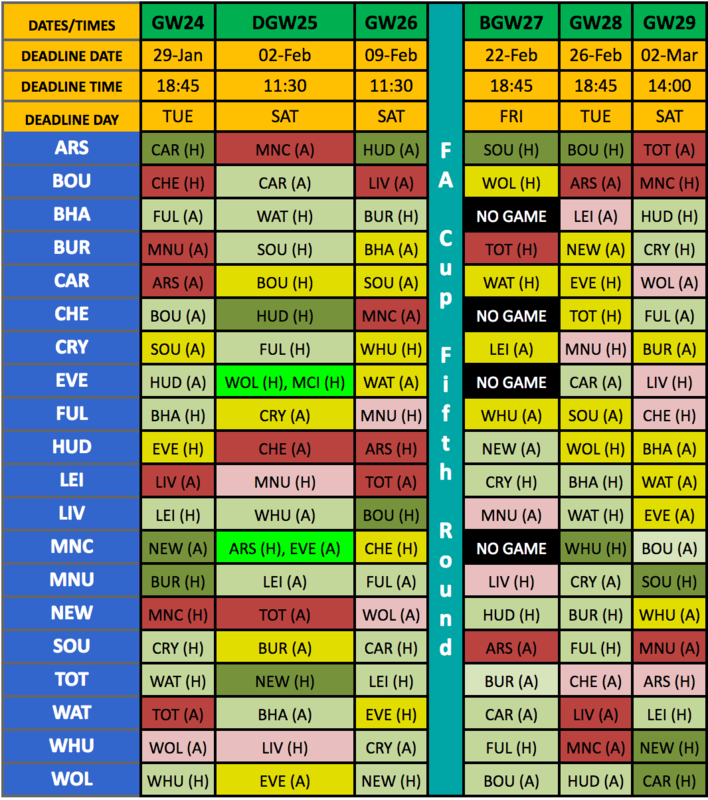 With the rotation Pep Guardiola will probably employ, to cater for playing five games between 20 January and 3 February, bringing him in this gameweek, like many Cityzens, you are taking a risk – but it could pay dividends. Suffering an injury crisis and now safely being out of both the League Cup and FA Cup, following defeats to Chelsea and Crystal Palace respectively, Spurs are going through some troubled times. Heung-Min Son, at least, is on his way home – though he’s reportedly very tired, which isn’t exactly surprising considering the amount of games the South Korean has played in the last two months. Step up Erik Lamela, therefore, who could offer great value at just £6.1m as, like the rest of the squad, he adjusts to relying on the likes of Fernando Llorente. Admittedly the main reason I have picked the Argentine is because of his fixtures coming up, with the added bonus of his cheap price. Mauricio Pochettino and his men will want to get back on track as soon as possible and have a good record against their rivals Watford this gameweek, as their loss at Vicarage Road last season was the first time in the league since 1987. In all competitions, the lads from North London have scored 14 in the past six meetings and it wouldn’t be a surprise to see this guy add to his existing tally of four goals and two assists from 687 minutes of play in the league this season. Even if he doesn’t, Newcastle and Leicester are up next. Eden Hazard, to me, is this season to a tee. Unpredictable and unreliable, yet something good will happen when you are least expecting it and so patience can pay off. In the case of the Belgian, he’s going through a dry patch at the moment, with one assist from the past four league games all he has to show for himself after picking up 30 points from the previous three fixtures. Unsurprisingly he’s the most transferred-out player of this gameweek so far, as 115,000 people have decided to wave goodbye – with 30.3 per cent of those bringing in Leroy Sané and 26.7 per cent opting to upgrade to Mo Salah. Before the victories against Spurs and Sheffield Wednesday in the cup games, Stamford Bridge seemed to be an unhappy place – quelle surprise; it is Chelsea, I suppose – and it didn’t seem Maurizio Sarri had a very good relationship with the squad. This was further emphasised when Andreas Christensen failed to return to the bench after going to the toilet 15 minutes before the end of the Arsenal match. I don’t know about you, but if there’s something good to read, I’d probably take that over seeing my team play so poorly away from home. Hopefully the pins and needles in the Dane’s legs wore off in good time. Anyway, less about him and more about Hazard, who does need “the love” to play – see Paul Pogba. But I say to keep Hazard in your team, especially after he found the back of the net against Spurs and was nicely rested in the Sheffield Wednesday game. He’s already doubled the tally he achieved in the Great Strop of the 2015/16 season and is only six goals off matching his best season at the West London club. Plus the arrival of Gonzalo Higuaín on loan could help on the attacking front, even if the Argentine did blank against the men from South Yorkshire, coming off in the 82nd minute. Looking at the Belgian’s fixtures, the guy is away at Bournemouth – where he’s scored four in the three times he’s been to the Vitality Stadium – and then Huddersfield at home, a club that Chelsea have scored 12 against in the last five games across all competitions. Just have a little patience, as Take That once sang. 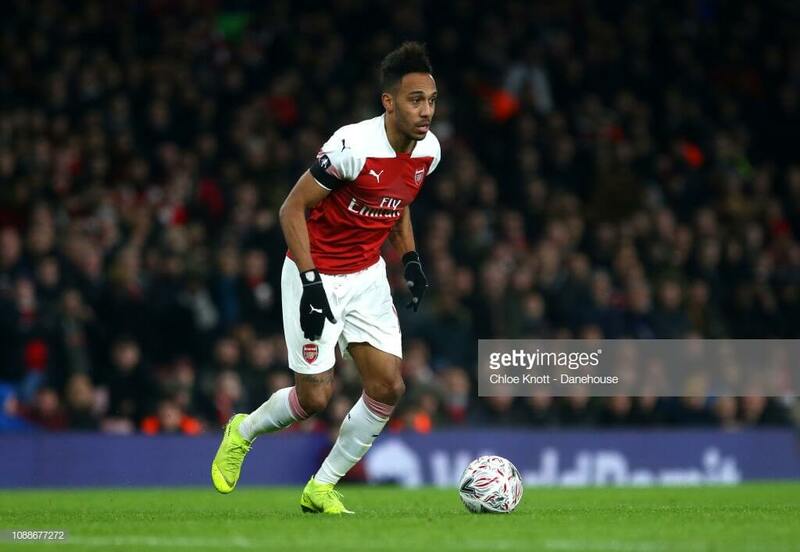 Pierre-Emerick Aubameyang, admittedly, did nothing in the past duo of league fixtures against Chelsea and West Ham, however he has not blanked three times in a row since the very start of the season. In fact after the last time two games that came with no return, he then scored against Bournemouth and notched up two goals and an assist against Spurs in Gameweeks 13 and 14. That’s part of a campaign that has seen 14 goals and five assists to date, not bad when you consider it’s from only 23 games. Now the Gunners are out of the FA Cup, following a game that Aubameyang did actually score in, they can look to getting the show back on the road as Cardiff come to the Emirates, a team the Gabonese striker has already scored against this season. Sitting 18th in the table, two points from safety, the Bluebirds have conceded the second greatest number of goals so far, 44, with only Fulham’s 51 faring worse out of the league. Of those 44, 11 have come in the last six games. After that, a trip to Man City will be far from easy, however the reward will be a trip to Huddersfield and then matches against Southampton and Bournemouth back at home. Marcus Rashford, like Paul Pogba, has very much repaid those who put their faith in him when Ole Gunnar Solskjær took charge of Man United, as he has scored five and set up two in that time with only Huddersfield at home being a blank. Indeed, it’s worked out at a goal or assist every 88.66 minutes since Mourinho left the building, compared to every 138 minutes when he was in charge. The youngster has had a great season so far with eight goals and seven assists and offers fantastic value at just £7.7m – it’s little wonder a whopping 39.1 per cent of managers can say they have him in their team, making him the third-most popular selection. Running on so much confidence at the moment, he can realistically look to score in his fifth consecutive league game as Burnley come to Old Trafford. If that happens then, you never know, the scoring run could also extend into the matches away at Leicester and Fulham, who have conceded eight and 10 respectively in the past four games across all competitions. Next in line is the walking Colgate advert – other toothpaste brands are available – known as Roberto Firmino. Boy, those teeth are so bright, it’d give Ross from Friends a run for his money, if you remember that particular episode. Anyway, the Brazilian is now in 22.4 per cent of teams, thanks in part to his form over the past four gameweeks where he has scored five of this season’s nine goals – six short of his highest league tally in a Liverpool shirt which was achieved last year. He’s certainly making up for the lost time of a very poor first half of the season on his part. Now sneakily fourth in the points table, the Liverpool number nine’s £9.3m price tag is particularly tempting when you see Leicester, West Ham and Bournemouth are on the horizon. The only cup game to complicate matters is the Champions League tie against Bayern Munich on 19 February. Raul Jimenez is my very last pick. The £6.5m player is proving to also be great value for owners as he’s gone against many predictions and converted chances against the likes of Spurs and Chelsea, with six goals and seven assists already to his name this campaign. After a tough run of fixtures over Christmas and a tie against Shrewsbury in the FA Cup that the Mexican helped to rescue to a replay, Wolves can now look forward to games against West Ham, Everton, Newcastle, Bournemouth, Huddersfield and Cardiff before another dose of difficult games in March and early April. The second-most transferred-in forward, behind the massively popular Marcus Rashford, this is a player who could go up another £1m in value by the end of the season. Thanks for reading Fantasy Football Tips Gameweek 24. This article was written by Swirly. Thanks for the articles all week guys. I’ve colour co-ordinated my team, and swapped Martial/Anderson > Son/Jota. 0FT & £1.2m ITB. Nope, stop there, that’ll do you nicely. Camarasa instead of Rashford would help your colour-cause. Aguero in for Kane tonight or wait until tomorrow to hear some team news? Slightly concerned Kane will drop. I know he’s not scheduled to but they’re a bit funny sometimes with injuries. Fix have him at 82 and are still saying 2 days. Probably wait if you can? KDB is a differential in my ML, however after playing in both cups is he likely to start in PL? Then there is the double game week, is he likely to play in both, if he’s fully fit maybe. Sane is the sensible choice but does not provide me with any differential in my ML plus Mendy is looming. The above 2 would leave me with 0.6itb for future transfers. Sterling rested in both games, should be raring to go! Need to do a -4 to bring him in plus sacrificing TAA, which might not be all that bad given his injury. Your suggestions & advice is much appreciated. It’s pretty much impossible to say which Man City player is going to bring in a haul, so possibly best to look at this one in terms of your mini league. If you’re chasing then it could be worth a differential pick in KDB, who should be good for the longer term as well. If you’re ahead then covering Sane will stop others gaining ground on you. Sterling would be my own preference but if it’s for a hit, and with TAA returning imminently (maybe!) I reckon it’d have to be Sane. Pep’s comments on KDB / Bilva were quite telling.